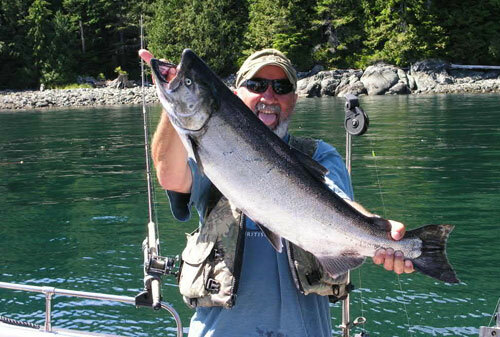 Big game hunting, fishing, wildlife viewing, long-range cruising and more await you with North Coast Adventures. 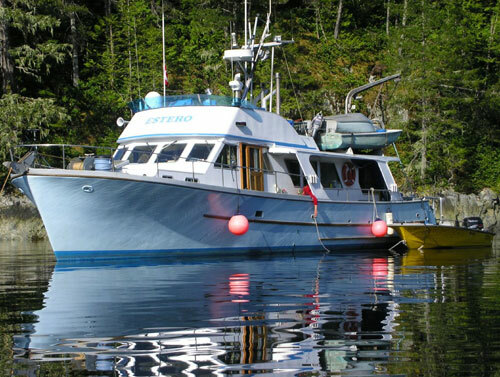 Climb aboard our custom 60 foot yacht, the M.V. Estero and experience the Northwest in style. The vessel comfortably accommodates six guests in 3 double staterooms with ensuite heads and showers. 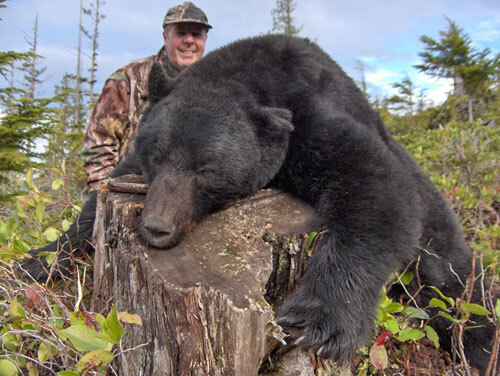 North Coast Adventures specializes in guided Coastal Grizzly Bear hunting safaris on the famed "Inside Passage" adjacent to Vancouver Island, British Columbia. Grizzlies are unpredictable, fearless animals that present the ultimate challenge to even seasoned trophy hunters. We offer spring Grizzly hunts in combination with Black Bear and Wolf and fall Grizzly hunts in combination with Black Bear, Columbia Blacktail Deer and Wolf. 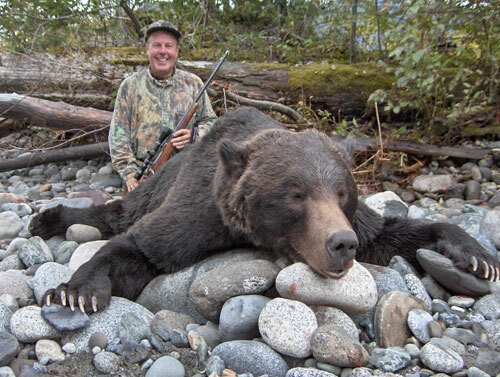 For most hunters a Grizzly Bear is truly the trophy of a lifetime, and we don't take that lightly. Everyone's selling a "trophy" hunt nowadays, but let's face it...not every hunt is a trophy hunt. Many factors distinguish a bad hunt from a good hunt and even more a good hunt from a trophy hunt. The most important is RESULTS! 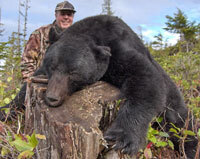 Our spring Coastal Black Bear hunts are action-packed adventures that both seasoned and novice hunters will enjoy. 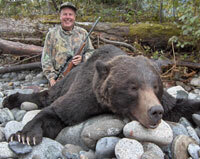 Our experienced guides can generally get hunters to within 100 yards of bears that are averaging 300 lbs. A large mature boar weigh 600 lbs or more with a skull size of 20 inches! Check out our Photo Gallery and you will see where Vancouver Island Bears got their good genetics from! Designed for serious sport fishermen, our July and August ocean fishing packages are ideal for groups of 4 to 6. 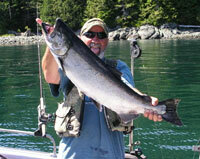 The King or Chinook Salmon are in in full force as well as all of the other species of Pacific Salmon. 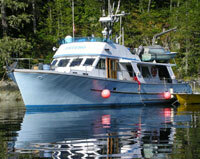 These are fully guided fishing trips with 2 fisherman and a guide in each 18 foot boat. You will enjoy up to 8 hours trolling for Kings every day, as well as some time fishing for various species of Rockfish. Halibut can also be found in some of our fishing areas.